My husband knows better than to say anything when I am in the throes of a full-blown sugar addiction. Really, it is not safe for him because my moods can be as erratic as my insulin levels. The wrong look during a sugar low may leave me sobbing for hours. A judgmental word said during a sugar high could send me to the kitchen looking for a steak knife and muttering something about castration. Oh don’t pretend you do not know what I am talking about. I know there are others like me out there, sitting alone in their houses or apartments, hiding their stash of Bit O’ Honey or jelly beans. This crack takes many sly forms hoping to hook each of us by individual tastes. Take my friend Lisa, for example. Her crack is chocolate. It doesn’t matter what form it comes it—donut, ice scream, candy, or syrup form—she is just gaga over chocolate. And, it doesn’t have to be good chocolate like Godiva or Ghirardelli chocolate. Nasty no-name chocolate from the dollar store is just fine with her. Lisa is so addicted to chocolate that she bought a safe for her daughters to keep their goodies in. She does not know the combination, and to her girls’ credit, no amount of bribery will compel them to open it or hand over the code. That is saying something since one is 12 and dying for an iPhone.) I am pretty sure Lisa has promised her a phone, and a designer case, and a Coach purse to keep it in, but to no avail. Her daughters know what a mess Lisa can be with just a hint of chocolate. I have another friend, whom we’ll just call “Jane,” who is addicted to the pumpkin spice phenomenon that is all the rage in the stores. I know I tend to exaggerate, but this is the honest truth. At the beginning of October, after a full workout at the gym, Jane went to Kroger’s where they festively displayed every pumpkin flavored product in one section. After nearly hyperventilating right there in the bakery section, Jane began to stockpile pumpkin products: creamer, cream cheese, bread, muffins, soup, whip cream, ravioli, chili, seeds, frosting, pie, and just plain pumpkin (I am sure I am leaving off something). I can picture her tossing items into her shopping cart like a crazed lunatic—eyes dilated, hair a bit mussed, determined look with a wide-toothed grin. Every time I see her, Jane offers me some kind of pumpkin item. To be honest, it has turned me off of pumpkin spiced anything. But, hey, I am not one to judge. Some people take their crack in their coffee, others eat it with caramel, and others like me crunch on it all day. Last night I decided that the madness had to end. So, I got on my knees and prayed for strength to combat this evil addiction. 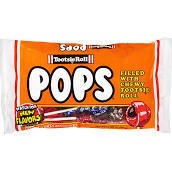 Of course, I made that resolve after chewing my very last Tootsie Pop—my favorite I saved for last—the orange one. And, today is DETOX day. So far, I have not had even a smidgen of sugar. Of course, it is only 8 AM, but I need to pat myself on the back for small accomplishments. Baby steps. I do have a terrific headache, and think it has something to do with withdrawal symptoms. But, I plan to persevere. Push through the pain and discomfort. I want to be free of this horrible addiction. I really don’t want to lock myself in the closet again this Halloween. Kate, I will definitely have to watch that documentary. Sounds like a good one. I have made it 4 days without sugar, and I feel strong (most of the time).